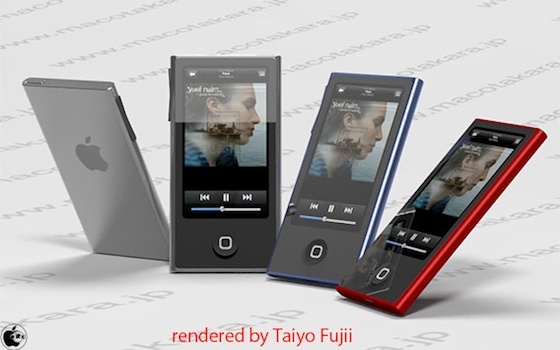 Apple Planning 'All-New' iPod Touch and iPod Nano for September Launch? KGI Securities analyst Ming-Chi Kuo, who has in the past offered remarkably accurate information on Apple's product plans, today released a new report addressing Apple's upcoming release plans, indicating that the company is planning for a very busy September-October schedule. Kicking off the schedule of launches are said to be "all-new" iPod touch and iPod nano models. Details on the new models are currently slim, but the revised iPod touch is said to include the new in-cell touch display technology that has been rumored by several sources for the next-generation iPhone. Apple likewise did not offer any major changes to the iPod nano last September, merely lowering pricing and rolling out a software update for the line. One recent rumor has claimed that the iPod nano will be seeing a complete redesign with an oblong body, rectangular screen, and home button similar to that found on iOS devices. It is unclear, however, whether Kuo's sources are hearing similar details or if they only have generic information about a forthcoming redesign. They really don't know what to do with the nano. That's one of the least likely renders I've seen this year. We have no clue but feel like we have to say something. Awesome. Now just cap off 2012 with the Apple TV! iPod shuffle with Retina Display. Make it happen. This needs to be the iphone nano.